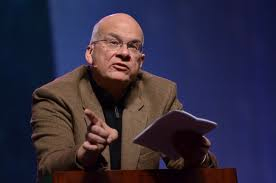 How Does Dr. Tim Keller Write His Sermons? “Two weeks ahead I sit down with a text of the passage of the Bible I’m going to preach on and I spend about four hours figuring out what the outline of the text is. I also spend some time figuring out the meaning of the text and sometimes it’s necessary for me to look up in some commentaries verses that may be problematic. I usually come up with an exegetical outline of the passage itself. I then writes this up and send it to my musicians so they can be preparing the music for worship, and so they can get my outline in the bulletin. I also send my outline to other preachers that I know who will be preaching from the same text. So I spend four hours two weeks ahead of time on the text, then another four hours turning it into a life related sermon. And that’s usually on the Friday before the sermon is preached. And then on Saturday I spend another six hours working on the sermon. I’m seeking to make it shorter. It’s always initially too long unless I take the time to make it shorter. In total I spend between 14-16 hours writing the sermon. And then on Sunday I spend all day preaching it because I deliver it four times on a Sunday. Therefore, I spend approximately 25 hours per week in order to produce one public sermon…before I do anything else in my job as a pastor. 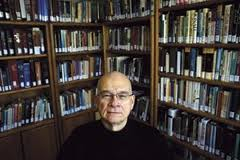 About Dr. Tim Keller: He was born and raised in Pennsylvania, and educated at Bucknell University, Gordon-Conwell Theological Seminary, and Westminster Theological Seminary. He was first a pastor in Hopewell, Virginia. In 1989 he started Redeemer Presbyterian Church in Manhattan with his wife, Kathy, and their three sons. Today, Redeemer has more than five thousand regular attendees at five services, a host of daughter churches, and is planting churches in large cities throughout the world. He is the author of a study of the Gospel of Mark entitled King’s Cross; The Prodigal God based on Luke 15; Generous Justice; Counterfeit Gods; Ministries of Mercy: The Call of the Jericho Road; The Meaning of Marriage; a wonderful small group study entitled Gospel In Life; and the New York Times bestseller The Reason for God; The Freedom of Self-Forgetfulness & the forthcoming Center Church (August 2012). Tim has a passion for Jesus Christ, making the Gospel clear, church planting, and reaching cities for Christ. If you really want to understand the gospel, and how grace applies to all of life I urge you to devour his books and sermons! Tim Keller recently spoke at the City-to-City Conference in New York on the difference between ‘inner power’ that which flows out of our relationship with the Lord and ‘external power’ that which comes from position, status or prestige. Focusing on ‘external power’ is deadly, but ‘inner power’ brings life and vitality to you and your ministry. (2) Spiritual Friendship – Christian brothers & sisters who encourage you and hold you accountable through intimate friendship. Who have you given the right to do that? (3) Right kind of Pastoral Counseling – Regular evangelism, discipleship, helping others, and some form of serving. (4) Study & Reading – You’ve got to read your head off! 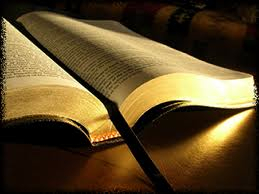 You can’t preach Christ from Genesis to Revelation like Tim does unless you know your Bible inside and out! (5) Corporate Worship – Do you really worship in your services or are you merely the producer and director? DR. TIMOTHY KELLER was born and raised in Pennsylvania, and educated at Bucknell University, Gordon-Conwell Theological Seminary, and Westminster Theological Seminary. He was first a pastor in Hopewell, Virginia. In 1989 he started Redeemer Presbyterian Church in Manhattan with his wife, Kathy, and their three sons. Today, Redeemer has more than five thousand regular attendees at five services, a host of daughter churches, and is planting churches in large cities throughout the world. He is the author of King’s Cross (on the Gospel of Mark), Counterfeit God’s, The Prodigal God (on Luke 15), and the New York Times bestseller The Reason for God & the forthcoming Center Church (August 2012). “Growing numbers of Americans say they are spiritual but not religious,” says Robert Wuthnow in After Heaven, his assessment of American spiritual development since 1950. These critiques are powerful because they have the ring of truth. They’re the reasons many who seek spirituality reject religion. What shall we do then? We must address the real issues of self-righteousness, exclusion, and power-plays. The church must echo Jesus’ own powerful critique of religion and visibly demonstrate the difference between religion and the gospel. First, we must do it in word—in our preaching and communication. Even more than Freud, Jesus condemned self-justification through moral performance, at one point claiming that religion was more spiritually dangerous than overt immorality. Jesus gives us the classic picture of the failure of both religion and irreligion in his parable of the two sons in Luke 15. The elder brother represents the religious leaders; he never disobeys any of the father’s laws. As a result, he tries to control his father and exclude his brother. In the end, he is the one who misses the feast of salvation rather than his profligate brother. There could not be a more powerful warning: The elder brother is not lost despite his obedience to the father but because of it. Jesus shows us that the problem is self-justification, the belief that we can win blessing through our virtue. In Luther’s terminology, religion is just another form of works-righteousness, which leads to profound internal instability. We are never sure of our worthiness, yet we need to feel superior to those who do not conform in order to bolster our insecurity. Following Jesus, we must agree with our critics about the danger of religion, but show them that they are wrong about their solution to it. Secular people see religion as a body of fixed doctrine and ethics that one must adhere to in order to acquire rights to blessing and heaven. They see how often religion leads to self-righteousness, exclusion, and oppression. Modern culture, however, wrongly identifies fixed doctrine (the idea of absolute truth) as the poisonous element. Both traditional religion and the new spirituality are forms of self-salvation. The religious way of being our own savior leads us to keep God’s laws, while the irreligious way of being our own savior leads us to break his laws. The solution is the gospel. The gospel shows us a God far more holy than a conservative moralist can imagine—for he can never be pleased by our moral performance. Yet it also shows us a God far more loving than the liberal relativist can imagine—for his Son bore all the weight of eternal justice. His love for us cost him dearly. Religion is outside-in; the gospel is inside-out. Edwards says that most virtue is secondary virtue, based on self-love, and therefore on fear (of punishment) and pride (in our superior decency). Edwards appreciates that common morality makes the world a liveable place, but he essentially agrees with Neitzsche that it is really a power play. General moral virtue does not come from a heart that has given up its need to feel superior to others. Only an experience of grace and free justification can create a heart that does good out of delight in God himself, out of delight in goodness itself, and out of love for our neighbors in themselves. Without the gospel, we can restrain the human heart, but not change the human heart. The gospel calls for repentance over our self-righteousness. The true virtue that results creates an attitude of acceptance toward the poor, the outsider, and the opponent that neither religion nor secularism can produce. Second, we must demonstrate the difference between religion and the gospel in our deeds—how we embody the gospel in our community and service. Even more than Marx, Jesus condemned religion as a pretext for oppression: “If you only greet your brothers, what do ye more than others?” (Matt. 5:47). Lesslie Newbigin makes the bold case that Christianity is a better basis for true tolerance of opposing beliefs than any other religion or even secularism. Saved only by grace, Christians true to the gospel will not feel superior to those with whom they differ. This must be more than rhetoric. Only when Christians non-condescendingly serve the poor, only when Christians are more firm yet open to their opponents will the world understand the difference between religion and the gospel. We will be careful with the order in which we communicate the parts of the faith. As we spoke, I discovered that she was an Ivy League graduate, a lawyer, a long-time Manhattan resident, and an active member of the ACLU. She volunteered that she had experienced three abortions. This woman had had her faith incubated into birth our Sunday services. In worship, we center on the question “what is truth?” and the one who had the audacity to say, “I am the truth.” That is the big issue for postmodern people, and it’s hard to swallow. Nothing is more subversive and prophetic than to say Truth has become a real person! Jesus calls both younger brothers and elder brothers to come into the Father’s arms. He calls the church to grasp the gospel for ourselves and share it those who are desperately seeking true spirituality. We, of all people, ought to understand and agree with fears about religion, for Jesus himself warned us to be wary of it, and not to mistake a call for moral virtue for the good news of God’s salvation provided in Christ. *DR. TIMOTHY KELLER was born and raised in Pennsylvania, and educated at Bucknell University, Gordon-Conwell Theological Seminary, and Westminster Theological Seminary. He was first a pastor in Hopewell, Virginia. In 1989 he started Redeemer Presbyterian Church in Manhattan with his wife, Kathy, and their three sons. Today, Redeemer has more than five thousand regular attendees at five services, a host of daughter churches, and is planting churches in large cities throughout the world. He is the author of KING’S CROSS, COUNTERFEIT GODS, THE PRODIGAL GOD, and the New York Times bestseller THE REASON FOR GOD & the forthcoming CENTER CHURCH (August 2012). ARTICLE ABOVE Copyright © 1999 by the author or Christianity Today/Leadership Journal, Friday, October 1, 1999. Martin Luther opened the Reformation by nailing “The Ninety-Five Theses” to the door of Wittenberg Cathedral. The very first of the theses was: “Our Lord and Master Jesus Christ…willed the entire life of believers to be one of repentance.” On the surface this looks a little bleak! Luther seems to be saying Christians will never be making much progress in the Christian life. Indeed, pervasive, all-of-life-repentance is the best sign that we are growing deeply into the character of Jesus. It is important to consider how the gospel affects and transforms the act of repentance. In ‘religion’ the purpose of repentance is basically to keep God happy so he will continue to bless you and answer your prayers. This means that ‘religious repentance’ is a) selfish, b) self-righteous, c) and bitter all the way to the bottom. But in the gospel the purpose of repentance is to repeatedly tap into the joy of union with Christ in order to weaken our need to do anything contrary to God’s heart. In religion we only are sorry for sin because of its consequences to us. It will bring us punishment – and we want to avoid that. So we repent. But the gospel tells us that sin can’t ultimately bring us into condemnation (Rom. 8:1) its heinousness is therefore what it does to God-it displeases and dishonors him. Thus in religion, repentance is self-centered; the gospel makes it God-centered. In religion we are mainly sorry for the consequences of sin, but in the gospel we are sorry for the sin itself. Furthermore, ‘religious’ repentance is self-righteous. Repentance can easily become a form of ‘atoning’ for the sin. Religious repentance often becomes a form of self-flagellation in which we convince God (and ourselves) that we are truly miserable and regretful that we deserve to be forgiven. In the gospel, however, we know that Jesus suffered and was miserable for our sin. 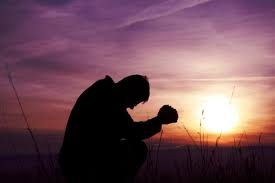 We do not have to make ourselves suffer in order to merit forgiveness. We simply receive the forgiveness earned by Christ. 1 John 1:8 says that God forgives us because he is ‘just.’ That is a remarkable statement. It would be unjust of God to ever deny us forgiveness, because Jesus earned our acceptance! In religion we earn forgiveness with our repentance, but in the gospel we just receive it. Last, religious repentance is “bitter all the way down.” In religion our only hope is to live a good enough life for God to bless us. Therefore every instance of sin and repentance is traumatic, unnatural, and horribly threatening. Only under great duress does a religious person admit they have sinned-because their only hope is their moral goodness. But in the gospel the knowledge of our acceptance in Christ makes it easier to admit we are flawed (because we know we won’t be cast off if we confess the true depths of our sinfulness). Our hope is in Christ’s righteousness, not our own-so it is not so traumatic to admit our weaknesses and lapses. In religion we repent less and less often. But the more accepted and loved in the gospel we feel the more and more often we will be repenting. And though of course there is always some bitterness in any repentance, in the gospel there is ultimately sweetness. This creates a radical new dynamic for personal growth. The more you see your own flaws and sins, the more precious, electrifying, and amazing God’s grace appears to you. But on the other hand, the more aware you are of God’s grace and acceptance in Christ, the more able you are to drop your denials and self-defenses and admit the true dimensions of your sin. The sin under all other sins is a lack of joy in Christ. If you clearly understood these two different ways to go about repentance, then (and only then!) you can profit greatly from a regular and exacting discipline of self-examination and repentance. I’ve found that the practices of the 18th century Methodist leaders George Whitefield and John Wesley have been helpful to me here. In January 9, 1738, in a letter to a friend, George Whitefield laid out an order for regular repentance. (He ordinarily did his inventory at night) He wrote: “God give me a deep humility and a burning love, a well-guided zeal and a single eye, and then let men and devils do their worst!” Here is one way to use this order in gospel-grounded repentance. Have I looked down on anyone? Have I been too stung by criticism? Have I felt snubbed and ignored? Repent like this: Consider the free grace of Jesus until I sense a) decreasing disdain (since I am a sinner too), b) decreasing pain over criticism (since I should not value human approval over God’s love). In light of his grace I can let go of the need to keep up a good image-it is too great a burden and now unnecessary. Consider free grace until I experience grateful, restful joy. Have I spoken or thought unkindly of anyone? Am I justifying myself by caricaturing (in my mind) someone else? Have I been impatient and irritable? Have I been self-absorbed and indifferent and inattentive to people? Repent like this: Consider the free grace of Jesus until there is a) no coldness or unkindness (think of the sacrificial love of Christ for you), b) no impatience (think of his patience with you), and c) no indifference. Consider free grace until I show warmth and affection. God was infinitely patient and attentive to me, out of grace. Have I avoided people or tasks that I know I should face? Have I been anxious and worried? Have I failed to be circumspect or have I been rash and impulsive? Repent like this: Consider the free grace of Jesus until there is a) no cowardly avoidance of hard things (since Jesus faced evil for me), b) no anxious or rash behavior (since Jesus’ death proves God cares and will watch over me). It takes pride to be anxious – I am not wise enough to know how my life should go. Consider free grace until I experience calm thoughtfulness and strategic boldness. Am I doing what I am doing for God’s glory and the good of others or am I being driven by fears, need for approval, love of comfort and ease, need for control, hunger for acclaim and power, or the ‘fear of man?’ Am I looking at anyone with envy? Am I giving in to any of even the first motions of lust or gluttony? Am I spending my time on urgent things rather than important things because of these inordinate desires? *Dr. Tim Keller is the founding pastor of Redeemer Presbyterian Church in Manhattan, New York, and the author of The Reason for God: Belief in an age of Skepticism (In my opinion the best book to date on apologetics for a postmodern culture—I think this book will do for post moderns what Mere Christianity by C.S. Lewis did for moderns). (1) Only those who have been saved from sin by grace through faith in Christ can truly understand the truth of God’s Word. 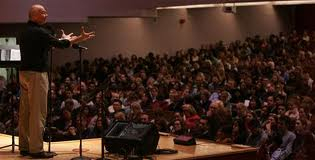 (2) A Commitment to listening to Biblical Preaching helps you grow spiritually. 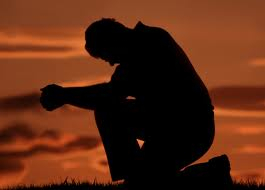 (3) Confess and Forsake your sins continually. (4) Through prayer and disciplined thought, adjust your attitude prior to the service so that you expect to hear exciting and life-changing truths from God’s Word. (5) Eliminate any potential distractions that might hinder your attentiveness during the message. (6) Make a concerted effort during the worship service to understand and retain as much as you can from the teaching by taking notes and writing down in your own words the primary lessons you learn and the questions raised in your mind. (7) Practice and develop your skills of discernment by examining the teaching carefully, but remember to maintain a humble, teachable spirit. (8) Discuss the message after the service & throughout the week with other Christians, asking them questions and sharing the encouragement and challenges you received. (9) Study the passage or topic further by discussing it with the teacher/preacher or another knowledgeable Christian, and by referring to commentaries or other reference books on the topic. (11) Devote yourself to supporting those who teach you. (12) Prepare yourself for the message the night before by getting to bed early. Also, by rising early enough to have plenty of time to get ready for a smooth ride to church (plan for a peaceful rather than a stressful rushed morning). One of my greatest concerns in the times in which we are living is seeing more pastors, theologians, and the rank and file Christian allowing cultural pressures to influence them more than the influence of Christ from the Scriptures. 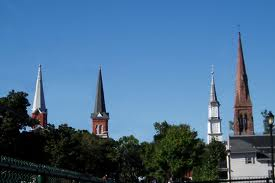 As I am currently looking for a church to become a part of I am astounded by how many “protestant” pastors can preach a sermon that neither begins or ends with Christ. As a matter of fact, most of the sermons I’m hearing could be preached by a non-Christian, and in what even passes for “church” God doesn’t even have to show up at all. I would urge, plead, and even pay preachers to read this book. What people need – including Christians – is more of Jesus – His death, life, teachings, work as Prophet, Priest, and King – in short His person and work. Jesus said that all of the Scriptures pointed to Him (that means all of the Old Testament and New Testament, see John 5 and Luke 24). In this book we have some excellent examples of former students of Dr. Edmund P. Clowney who preach in the Christ-centered mold. The book has a good balance in that it incorporates sermons from the Law, the Prophets, the Psalms, and Several New Covenant genres. Before each sermon begins there is a brief tribute to Edmund Clowney demonstrating how he influenced the preacher in his pursuit of personally loving Christ and preaching sermons that show us the Savior’s Person and work on our behalf. I highly recommend this book for all preachers, and for those who listen to preachers and love Jesus. I would encourage you if you are reading this review, to ask your pastor if he has read this book, and if not, to get him a copy – to encourage him in preaching in a more Christ-centered manner. Christ-centered preaching is hard work. However, when you hear it, or do it – you sense the presence of God in a powerful way. When I started preaching in Christ-centered manner it was as if a huge millstone was taken off my back. I think most preachers want to please God and help their flock from God’s Word – but they have not been well trained in Biblical Theology, or in Christo-centric preaching. Edmund Clowney and all the preachers represented in this book are preaching to give glory to God and to let their hearers experience Jesus in worship. I think most preachers today are preaching to be liked, and meet felt needs – but no one can meet our needs like Jesus – and what we need more than anything is what these preachers do in this book – lead us to worshipping Jesus! I constantly find myself when listening to modern preachers asking the question, “Where’s Jesus in this message?” Edmund Clowney always asked, “Where is my Savior?” His primary concern was always to reveal the presence of Christ in all of the Scriptures – since this is what Jesus mandated. I believe that if you ask these questions of yourself, or your preacher and Jesus is nowhere to be found, then it is not “Christian” preaching. What we desperately need today is to hear Jesus speaking to us from the Word of God by the voice of his heralds. All the preachers in this book do a wonderful job of leading us to the presence of Jesus and to worshipping Him. All of Tim Keller’s books (e.g. “King’s Cross” based on his expositions on the Gospel of Mark). And anything by Sidney Greidanus (e.g., “Preaching Christ from the Old Testament”), or Graeme Goldsworthy (e.g.,“Preaching the Whole Bible as Christian Scripture”). I hope that this movement of Christ-centered preaching continues to spread, and grow and bring about a new reformation of the gospel, and the desperately needed revival that is needed around the globe. In order to introduce a new generation of preachers to “the Doctor” this book published in 1972 has been reissued. All the material from a series of lectures the Doctor gave in 1969 at Westminster Theological Seminary in Philadelphia – and is still very relevant to the times in which we are living in the 21st century. The Doctor was one who knew his cultural climate and ministered in a setting in London, that (especially in comparison with big cities in America) was ahead of its time in terms of a naturalistic worldview and skepticism toward religion and the gospel. However, he never backed down from the primacy and centrality of preaching the gospel of Jesus Christ from the Scriptures. 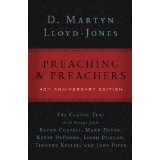 It’s doubtful that very many preachers will agree with everything Lloyd-Jones has to say in this book, but it’s also very probable that you will gain profound insight, wisdom, and be encouraged in your preaching. You will most certainly be convinced of the importance of preaching, the relevance of preaching, and become a better gospel empowered preacher as a result of reading this book. *J.I. Packer first heard Dr. D. Martyn Lloyd-Jones preach when he was a 22-year-old student in London. Upon hearing Lloyd-Jones, Packer remarked that he had “never heard such preaching…[delivered] with the force of electric shock, bringing to at least one of his listeners more of a sense of God than any other man.” As Packer’s statement suggests, Lloyd-Jones’s life-long ministry had a profound impact not only on lay-people, but on the very leaders of the Christian church as well. However, at beginning his medical career, Lloyd-Jones began reading the Bible and was soon gripped by the logic of the Christian gospel. In his early twenties, he underwent a quiet but profound conversion to Christianity. Feeling propelled by a new desire to share his faith with others, Lloyd-Jones began to think that preaching would provide the best avenue for him to promote the gospel of Christ. But, at the same time, Lloyd-Jones had fallen in love with a young medical student named Bethan Phillips. He felt torn, knowing that if she were to marry him she would need to share his vision of abandoning medicine to pursue the ministry, and he prayed hard for God to work in her heart. Bethan did come to share Martyn’s vision for preaching and she married him in 1927. Together they shocked the press by making a dramatic move from the elite medical community of Harley Street to a small house in Lloyd-Jones’s native country. There, Dr. D. Martyn Lloyd Jones began his preaching career at the Bethlehem Forward Movement Mission Church in Aberavon, Wales. In 1938, G. Campbell Morgan, the Minister of Westminster Chapel, heard Lloyd-Jones preach and decided that he wanted to have him as his successor in London. In the following year, Lloyd-Jones, his wife, and two daughters, Elizabeth and Ann, moved to London. Although Lloyd-Jones began his ministry at Westminster on a temporary basis, his stay there would be anything but temporary. 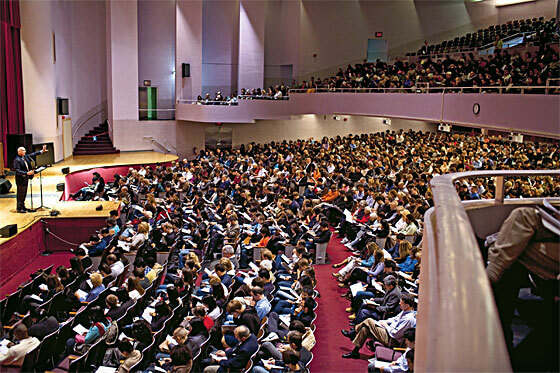 His preaching drew in thousands of people and the congregation responded enthusiastically to his sharp, analytical presentation of the Christian faith. He remained at Westminster for thirty years, faithfully preaching through even the bomb raids of the World War II, and retired from there in 1968. While in London, Lloyd-Jones also had a formative influence on the InterVarsity Fellowship of Evangelical Unions by serving as its President for many years. Even today InterVarsity is a thriving world-wide ministry and it owes a large portion of its success to the influential work of Lloyd-Jones. After leaving the church at the age of 69, Lloyd-Jones was unwilling to simply relax in retirement and he continued to work as hard as he had while he was at Westminster. He published some of his best work during that time and he continued to travel and preach at various engagements. 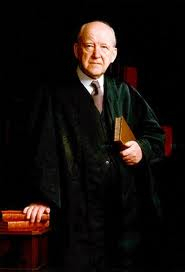 Dr. D. Martyn Lloyd-Jones worked until in 1981, weakened by illness, he died quietly in his sleep at the age of 82.